The twelve cards in each of the ten suits of Dashabotar cards contains a Raja (king) as an upper court card and a Mantri (minister) as a lower court card along with ten numeral cards. 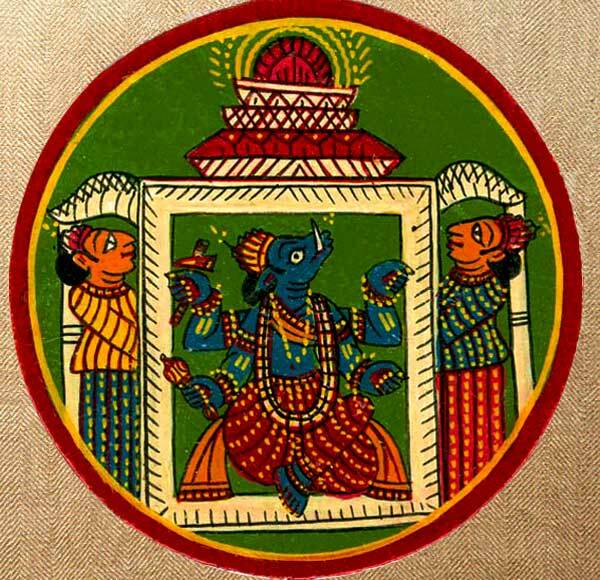 This image depicts the Raja card of the Baraho (boar) avatar suit. Each numeral card in this suit carries a specific symbol of the avatar - in this case, that of a conch shell.